Drinking wine and appreciating its qualities is one thing, but succeeding to express in words the flavors, the taste and the texture of the wine and sharing with the others the sensations you feel is something different. That's why a wine tasting is an art so difficult to achieve. 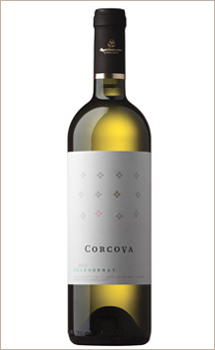 We invite you to join us in a new tasting and (re)discovering of Corcova wines session, on Thursday, the 21st of April, starting with 8 PM o'clock, at the Cafepedia (2, Pictor Arthur Verona Street). You will taste the special wines of the Corcova press house, like Cabernet Sauvignon/Merlot 2008 DOC, Chardonnay 2009 DOC, Rose 2009 DOC and Syrah Reserve 2009 Dealul Racoveanu DOC. The sommelier Sergiu Nedelea will tell you the story of the press house and of the wines, and Marian Ganescu will delight you with a saxophone musical recital. For reservations, please call at 0721.102.101. Between the 11th and the 13th of March, World Trade Center - Hotel Pullman hosted the fifth edition of the GoodWine International Wine Fair. For more than 3,500 visitors, the event was a special occasion to meet the best Romanian wines and a selection of the most appreciated wines from abroad. 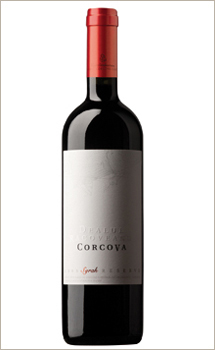 The Corcova wines also participated to the Bucharest GoodWine International Wine Fair. Corcova Roy & Damboviceanu and the Federation of the Romanian Sommeliers will take part to the Berlin International Tourism Fair, between the 9th and the 13th of March, 2011, and they will represent the Romanian wine, as sub-exhibitors in the Romanian pavilion. Having an average level of 180,000 visitors and over 10,000 exhibitors from 180 countries, the Berlin International Tourism Fair is the biggest European event of the industry and one of the biggest in he world. ITB Berlin reunites the most important players of the tourism industry worldwide, representatives of different travel destinations, tour operators, booking systems, transport operators, hotels, airlines and rent-a-car companies. Romanian architects meet yearly at the Architects Ball, to celebrate and to continue the work of their predecessors, whom we owe the first Society of the Romanian Architects. This year, the 26 of February, the friends of architecture are invited to the Casino of Sinaia for an unique weekend, to a discussion about the architecture of the Romanian public space between tradition and modernity. 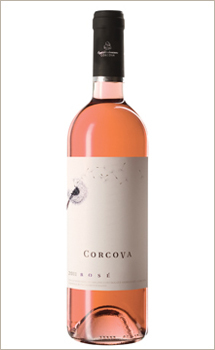 The wines of Corcova, with a great and long tradition, will add to this event a supplementary note of refinement. After the success of the first event, Zilele Vinul.Ro (The Days Vinul.Ro) continue with the second edition, the 26 and 27 of February, 2011, two fair days with exquisite wines, brunches and art exhibition, at the Margo Lounge restaurant (29-33, Lipscani Street). 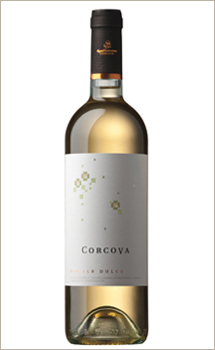 Corcova Roy & Damboviceanu will present its wines together with others niche producers from Dragasani and other regions. Beside the wines, at this second edition you could taste also the candies and chocolate truffles presented by Choco Fashion, and you could admire the works of Anne Nerbert, a visual artist. Friday, the 25 of February, the art gallery Laika from Cluj is home for the vernissage of the Full Moon exhibition, held by the visual artist Mircea Suciu. A study of the light under the sign of the full moon, which incite the visitor to a poetic level which subtly insinuates that we humans are... the history of some fascinating ideas. 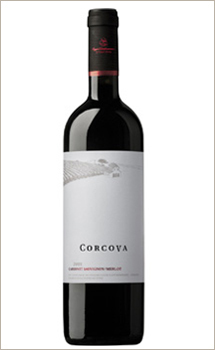 An absolutely special event we invite you to join, together with the Corcova wines. Laika Gallery is a space dedicated to the contemporary art, which opened its doors in the year 2008, in Cluj and Bucharest. Having a solid platform for ambitious projects, with an accent on the contemporary trends and styles, Laika tries to promote young artists, but also well known ones, especially from Romania, but also from the international art scene. After the events held in Oradea and Cluj, Corcova Roy & Damboviceanu announces the participation at the event Food & Bar Show Brasov. The series of events Food & Bar Show, dedicated to the presentation of new products and trends in HORECA, begins with the first 2011 edition, in Brasov, 24th of February, at the International Trade Center, at 10 AM, and the central point of the event will be the scene-kitchen, where different culinary demonstrations will take place. 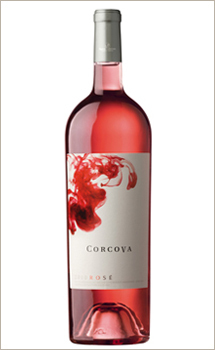 Corcova Roy & Damboviceanu will offer for tasting wines like Chardonnay 2009, Rose 2009, Cabernet/Merlot 2008, Syrah 2009 DOC-CMD and a sweet Chardonnay 2008. Merlot is a delicate wine, with a noble fruity taste, gentle and friendly, having a good reputation in our land. Despite the common opinion that it has not the corpulence and the temperance of Cabernet Sauvignon, it succeeded in the last 15 - 20 years to impose a new trend among the consumers. To simplify, we could say that on Friday, the 18 of February, at 7 P.M., at Atelierul 030202 (11, Sfanta Vineri Street, Bucharest), happened the vernissage (varnishing day) of PERCEPTIO exhibition. But it was not an usual vernissage, because this is not an usual exhibition. PERCEPTIO means an unique experiment, and the Corcova wines could not miss such an event. It started from a quite unusual perfume, BOSQUE by HUMIECKI & GRAEF. Christophe Laudamiel created this unique perfume in order to evoque the sensuality and the intimacy of a couple. This is an unisex perfume, seasoned with a series of sensual ingredients, which evoque the scent of warm skin. The boutique of niche perfumes, Createur 5 D’Emotions, and Iconique Class Studio have chosen this special perfume for the launching of an unique experiment in Europe. An experiment which combines olfaction and visual sense in a common universe. An exceptional project sustained by Serban Damboviceanu as sponsor, where the Corcova wines represented the delight of the vernissage.